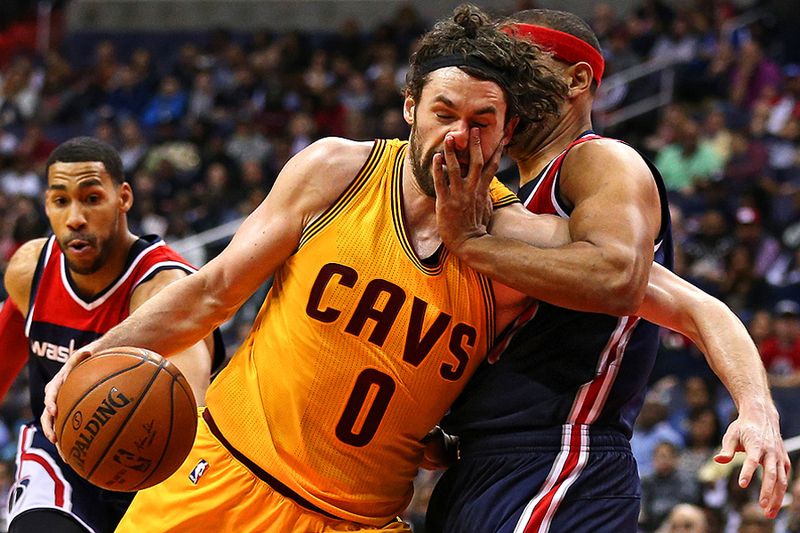 "Kevin Love #0 of the Cleveland Cavaliers is fouled by Jared Dudley #1 of the Washington Wizards during the first half at Verizon Center on February 28, 2016 in Washington, DC." There is nothing worse than having your routine being changed - until you realize that change is good. The other night as the Cleveland Cavaliers took on the Washington Wizards, our floor spot was moved to the other side of the basket. After shooting from the same spot on the floor for a couple of months, things suddenly felt different. But I learned a long time ago to embrace change in life. Everything happens for a reason; and there really isn't much you can do to change what's happening. Frankly, I've always been that sort of team player. I always do what I'm told without a fight. Whether it's a large team or the solo team of myself. Find the pictures that happen no matter where you end up. This nearly nose picking foul moment happened in front of me - a spot I'm typically not sitting. Just a small reminder to myself to always go with the flow.